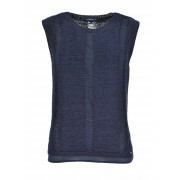 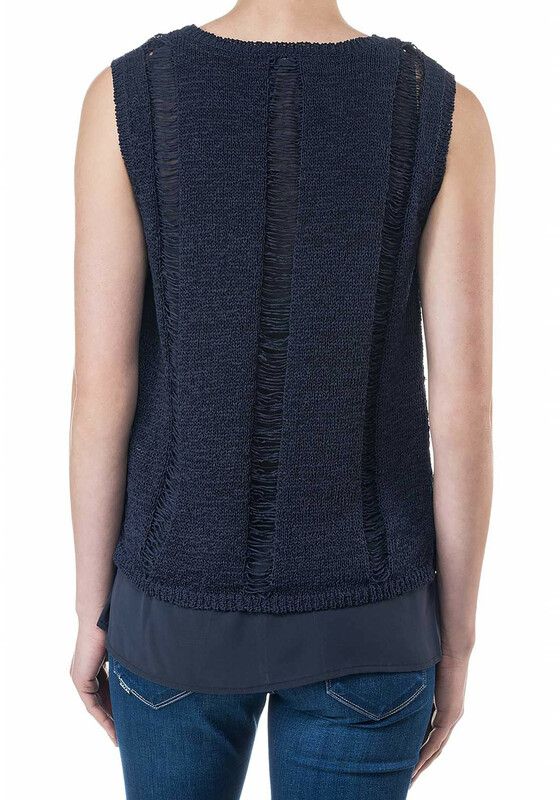 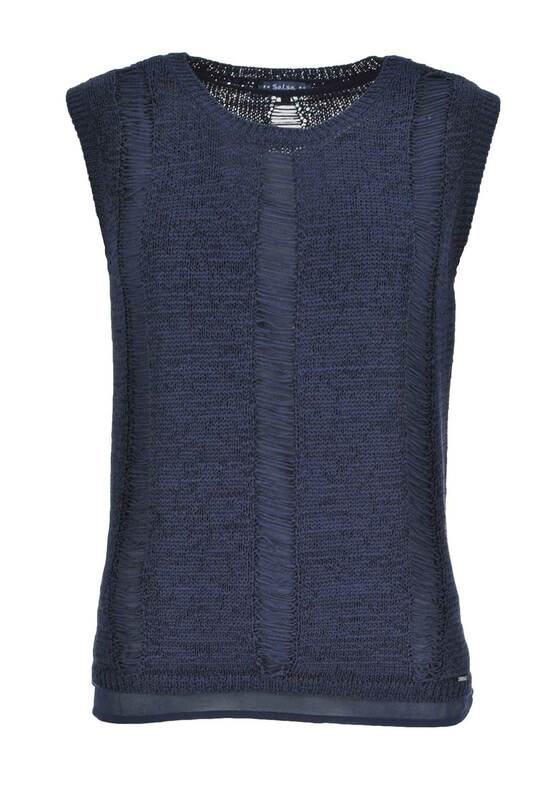 Update your knitwear this season with this funky sleeveless top from Salsa in navy. 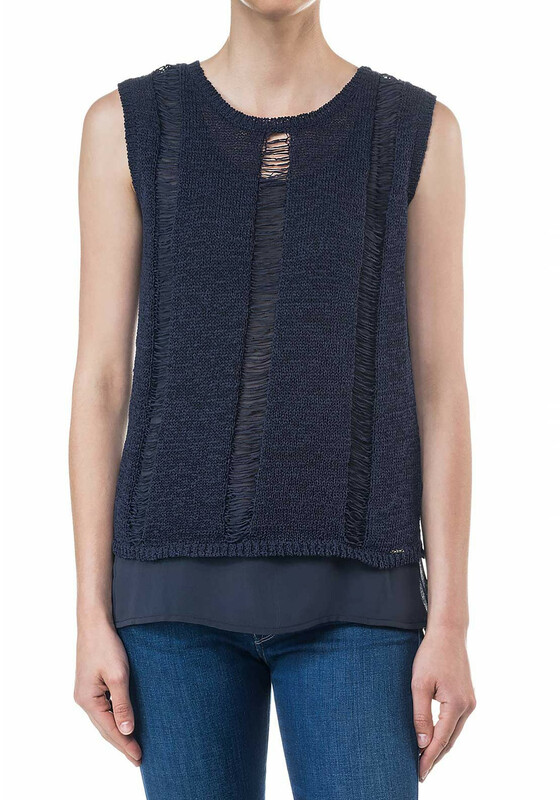 With a modest chiffon lining, this top has loose knit panels throughout and is complete with a Salsa tag on the trim. 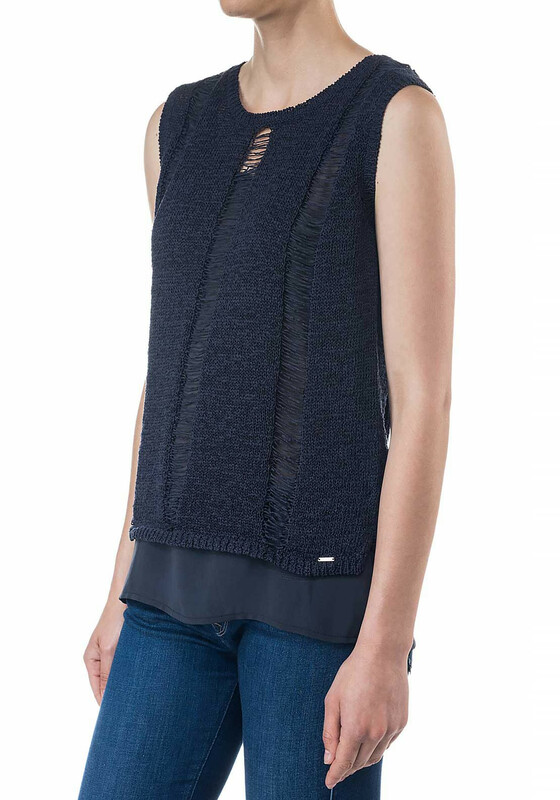 Team with your favourite Salsa jeans for a chic daytime style.